The increase in car numbers in the city soon gave rise to off-street parking stations. This is the Exchange car park (later Grime's no. 3 parking station), on the corner of Bent and Macquarie Streets, opposite the Public Library. At two shillings a gallon, fuel was less than 5 cents a litre, although the basic wage was just over 6 Pound ($12). 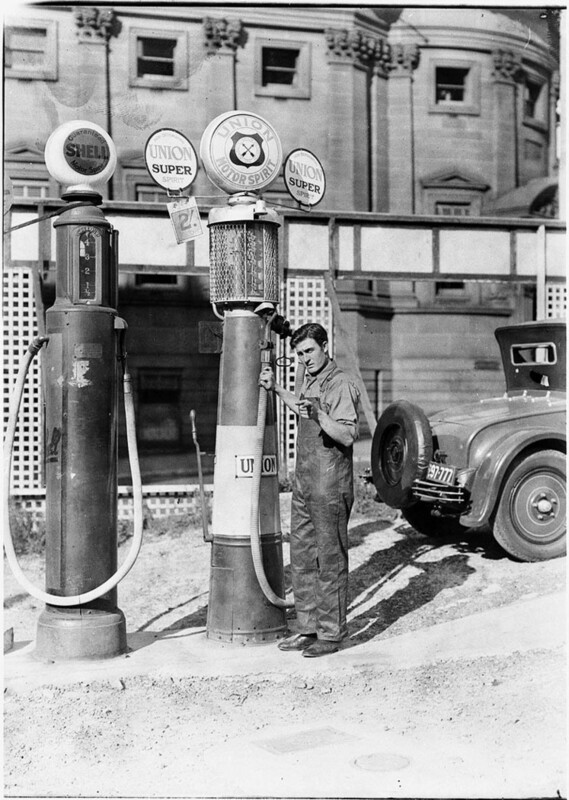 This photograph was originally taken for an advertisement enticing motorists to stop at the red, white and blue pumps of Union motor spirit.